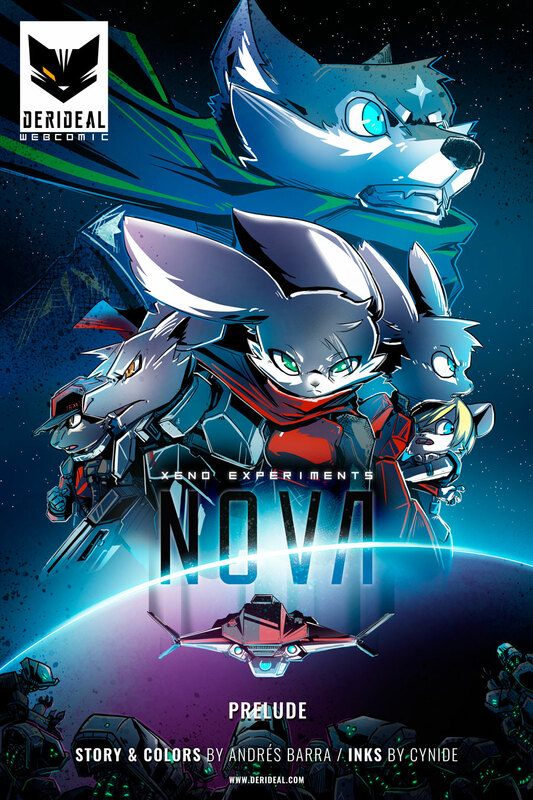 Finally after all this time I’m about to start publishing Xeno Experiments Nova. This story is a prelude of what can become a bigger storyline, it’s been YEARS of planning and designing characters and coming up with a new character design for this series. My friend Cynide was helping me with vehicles and armor design ideas for this comic way before this story was fully written or even decided, we spent a year or so working on sketches of ships and armor ideas… but I never got the time to do something with them until I asked Cynide if he wanted to help me with the inks of this comic, which is something completely new for me, I’ve spent more than 9 years drawing comics all of my own, so it was a nice experience working with someone for a change, and let the drawings be something different from what I would have done it’s been very exciting, Cynide has a drawing style similar to my own, so I trusted he was going to do a good job, which he did. I have to thank him specially for this comic to be almost completely finished today, I wouldn’t have finished the story knowing I wouldn’t had the time to draw and paint everything by myself (I’m also working on Derideal remake and trying to find some time to keep working on The Void webcomic, so with my day job my plate is 99% full), so having some extra help made this possible! THANKS! Anyway, I hope you like the story and what you’re about to read, the story of X-E-N takes place about 100+ years after Derideal and Project Prime, and it’s my take on a space opera sci-fi story… I know commentaries are dead for the time being in the website, but if you really want to comment about this I invite you to participate and comment in my Facebook Page! I really reaaaally like your feedback and good vibes to give me energy to keep working on these comics!